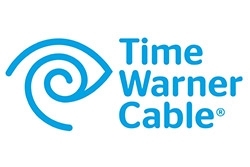 US cableco Time Warner Cable has launched a new application for Samsung Smart TVs that makes its video-on-demand library available to customers without the need for a set-top box. The new application will offer instant streaming access to around 5,000 VOD titles from nearly 100 networks, and will be available for download initially on 2012 Samsung Smart TVs, then 2013 models shortly thereafter. Samsung has already started forming similar partnerships with IPTV operators in Europe, such as Scandinavian telco TeliaSonera, which started delivering its full IPTV service (including linear channels) to Samsung Smart TVs in Estonia towards the end of last year.